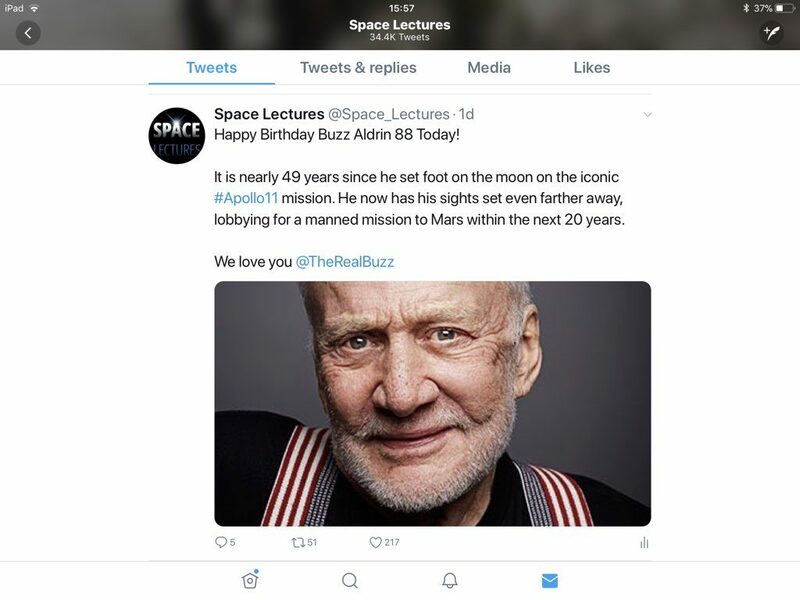 Happy Birthday Buzz Aldrin 88 Today! It is nearly 49 years since he set foot on the Moon on the iconic Apollo 11 mission. He now has his sights set even farther away, lobbying for a manned mission to Mars within the next 20 years. …and it was very nice of Buzz to notice our tweet!